Ooh! That Looks Good! : small ears. oreccheitte pasta has always been a favorite macaroni of mine because of the shape. those small little ears gives just the right amount of pasta in each bite and, bonus? you can pierce it with a fork or scoop it up with a spoon! i experimented with making a salad with some ingredients i had on hand and ended up with a great tangy recipe that i adore. when cooking the pasta, make sure to use plenty of olive oil or butter so that the orecchiette doesn't stick together when cooking (urgh...mine did, lol). 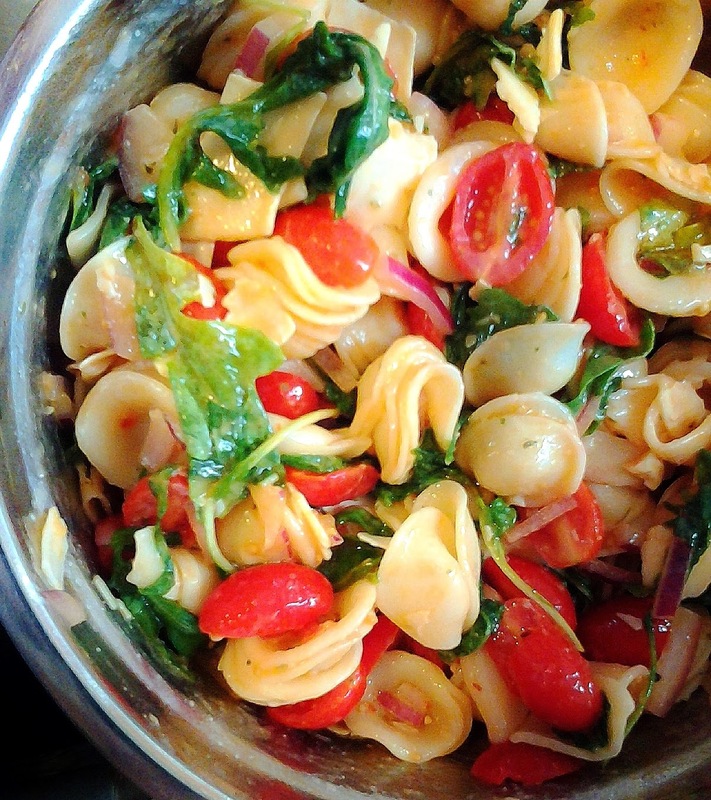 Italian Orecchiette Salad with Tomato, Basil, and Arugula. Combine the ingredients for the dressing, whisking together well. Add the orecchiette, tomatoes, and onion to the dressing and season to taste by using the listed seasonings. Refrigerate overnight (or at least an hour) for the flavors to develop. Right before serving, gently fold in arugula, basil, and shaved parmesan. Best served chilled. this quirkie foodie has always had grandeur plans of making the perfect meal...actually, just the perfect curry. but as life would have it, sometimes the ingredients are just a little off or things turn out unexpectedly from what was planned. take a looksie with this foodie as she blogs about her food adventures in getting things "just right". Make It Like A Man!